Leading Manufacturer of precision forged gear from Ghaziabad. 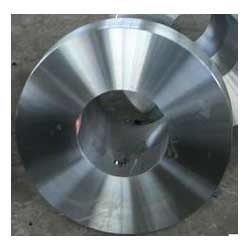 We are a prominent name, which is engaged in delivering a wide range of Precision Forged Gears. These precision forged gears offered by us are developed using advanced machines and latest technology in complete adherence with the international quality norms. In addition to this, the offered range is manufactured using optimum grade stainless steel, carbon and metal alloys that are sourced from reliable vendors. Looking for Precision Forged Gears ?